I have been involved in major SAP installations at two companies that were fortunate enough to have Jack Rex managing critical projects for their Information Technology conversion and implementation. In both cases, Jack built superior teams of highly skilled, dedicated business/technology professionals who met all goals in dynamic circumstances under significant pressure. The Lincoln Electric Company in Cleveland, Ohio, at 100+ years old, is the largest manufacturer of welders and welding supplies in the world. During mid-1998, management realized that the multitude and wide variety of archaic computers and systems being used by Lincoln were woefully inadequate; and with Y2K imminent, decisive action was needed. A new CIO was brought in, SAP was chosen as the enterprise-wide solution; Andersen Consulting was selected as the integrator; and the race against Y2K began in earnest. Jack Rex built and led the conversion team that was responsible for making certain that data from multiple antiquated computer systems involving many different types of obsolete databases were properly transported into the new SAP system on time. In order to accomplish their tasks in this huge undertaking, Jack and his team worked with high intensity and determination--sometimes around the clock. That team was, in fact, the only one on that 350+ person project to actually achieve every goal and meet every deadline. In July, 2001, I asked Jack to provide consulting advise to TelePlace after SAP had been selected as the ERP. 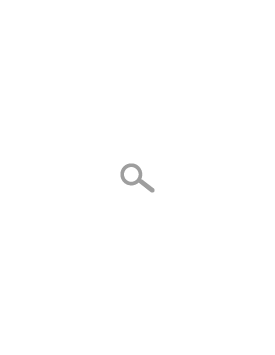 My purpose was simply for TelePlace to have someone I already knew to be an IT expert with high ethical standards working on behalf of TelePlace to ensure that SAIC (the chosen integrator) did not excessively expand the monetary resources of TelePlace. Jack was so effective in this role that he was hired as CIO on September 25, 2000. Jack exceeded everyone's expectations in reducing the implementation cost. He replaced most of the more costly SAIC IT consultants with a terrific team of IT professionals that he hand-picked and led through a record-breaking implementation of SAP. In fact, it was the fastest implementation on record according to SAP America, Inc. 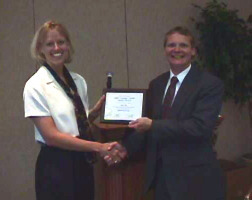 In May, 1998, Jack Rex joined Lincoln Electric Information Technology Department as a third-party consultant. Specifically, he was brought in to serve as the Manager of the SAP Conversion Team. At the time Jack joined Lincoln, we had committed to installing all modules of SAP and three major "bolt-ons". The responsibilities of the Conversion Team included the design, construction, and testing of all the conversion programs, running mock conversions and planning and executing the actual conversion cutovers. Jack was an integral part of my Management Team. His leadership skills were excellent. He selected talented contractors and built a loyal, cohesive team. He kept them--and Lincoln employees interacting with him under our matrix management system--highly motivated throughout the duration of the SAP project. His expertise in project management, problem solving, technology and communication helped us to meet our overall goals and objectives. We had stringent time constraints; and Jack and his team always met their deadlines. Jack is also a very hard worker. He and his team averaged 14-hour days during 1999. On several occasions, they worked through the evenings to deliver promised results to their customers. The pace and intensity of this SAP installation was arduous. The entire installation--from conception to "go live"--took only 14 months. This had never been done. In order to complete it, we needed very proficient, dedicated resources--like Jack. Jack was a proactive communicator, a team player and a true professional. I wish him the best of luck in the future. If further information would be helpful, please do not hesitate to contact me (216-383-2888). 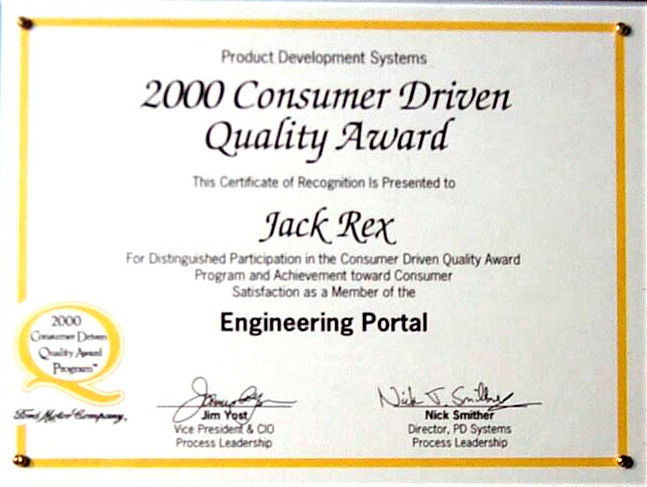 In June 2001, Pacific Coast Building Products contracted to have Jack Rex audit the status of our conversions and interfaces which were required for our planned November 1, Go Live of SAP 4.6C. At the time Jack joined our project, we were well down the road, but were in need of additional resources to review our status. Upon, completing the audit, Jack was then contracted to serve as the Conversion Team Lead for our project. The responsibilities of the Conversion Team included designing, coding, and testing of conversion and interface programs. Jack was also responsible for: planning and running mock conversions in our test systems, the status of the 76 conversion and 28 interfaces programs, planning and running the 11/01/01 cut over from our Legacy system to SAP and the planning of our next cut over on February 1, 2002 for over 40 plants to SAP. Jack was a member of the project Management team and thus, was responsible for his Conversion Team milestones, deadlines and quality of work. As we approached our Go Live date of November 1, Jack conducted daily meetings to review the status of each task in the cut over plan he had created with the other Team Leads. Jack developed outstanding working relationships with his conversion team, the Pacific Coast Project Management Team and the Management of the Business that was going live on November 1. He was hard working, intense, thorough and managed to maintain a good sense of humor. I wish only the best for Jack in the future and would not hesitate to supply or discuss a recommendation for Jack. If further information is required, please contact me at (916) 368-2492. I have worked with Jack Rex for several years at both Therma-Tru Doors when I was VP, Supply Chain and VP, New Business Development, and at Owens Corning when I was CIO and VP Finance. I highly recommend Jack for high level Leadership roles in I.S. and specifically as Project Leader/Manager for high impact Business projects. Listed below are projects Jack managed and implemented from 2003-2007. Each of these projects was implemented within budget and timeline. These projects were high impact and ranged from preparing a business for sale, restructuring major facilities and implementing a major Marketing program. Jack was responsible for collecting requirements and selecting the best ERP system for our commercial division. The commercial division consisted of 2 plants, one in Wilmington North Carolina, and another in Phoenix, Arizona. They made metal doors and hollow metal frames. The scope of the project included order entry, production scheduling, production, inventory control, quality control, purchasing, receiving, shipping, invoicing, and financials. Made to Manage was selected as the ERP system for the commercial division. Jack implemented the Made to Manage System in six months, taking out costs and improving processes. We sold the business shortly after the implementation. Jack was project manager for a $4.5 million plant restructuring project in Fredericksburg, Virginia. We went from 7 buildings to 3, 14,000 SKU's to 2,000, and reduced headcount from 300 to 150 associates. Jack also implemented our company's E21 ERP system into the plant at the same time. This was a $10.6 million plant restructuring project where we replaced 18 manufacturing lines with 22, doubled capacity, and cut headcount from 950-550. Jack brought this project in $1 million under budget. Jack was responsible for rolling out a new product line across the U.S. His scope included marketing, sales, order processing, scheduling, manufacturing, shipping, purchasing, receiving, inventory, quality, and cost accounting. In 2005, Therma Tru bought Southern Millworks, with plants in Reno, Houston, and Fort Wayne. Southern was implementing Microsoft Great Plains as their ERP system. This project was 2 months behind and $250,000 over budget when Jack started managing the project. He brought the project in on time and on budget. In the fall of 2001, Therma-Tru Corporation undertook our most significant information technology project in our 40-year history. We embarked on an ERP implementation project, and selected the E21 System from Technology Group International as our enterprise wide system. Lacking internal resources in ERP implementations, we wanted an experienced project manager to help us with this challenging, crucial project. 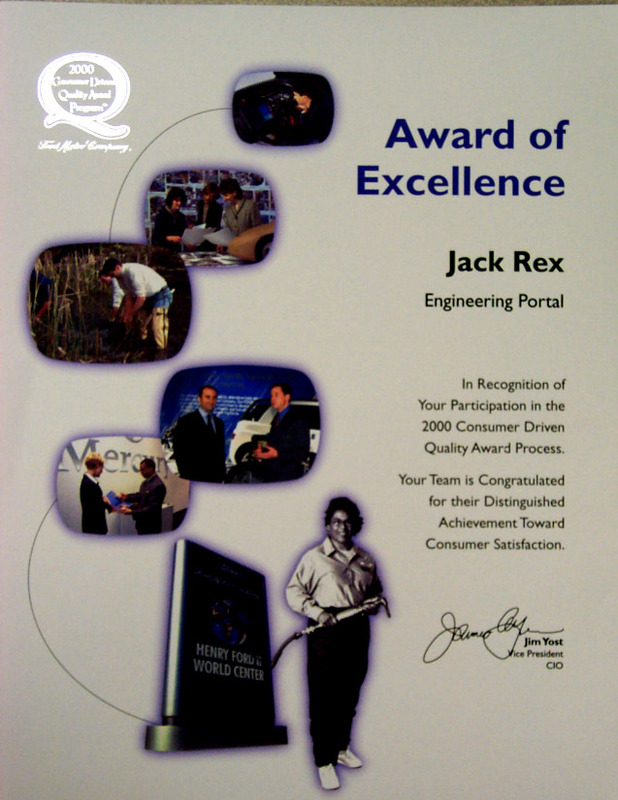 Therefore, we contracted with Jack Rex in March 2002 to be our Project Leader for our ERP conversions and cutovers. Jack's specific duties were to manage the conversion team, which analyzed, designed, coded, and tested the conversions and interfaces, ran the mock conversions, and planned and organized the actual cutovers and go lives. Our first "go live" was July 1, 2002, and included all the financial systems needed for our North American Residential Door business. This conversion included our corporate headquarters, our Mexico plant, and our primary plants in Indiana and Oklahoma. I was extremely pleased with how smoothly things went, as Jack and his team did an outstanding job. Our second "go live" was October 1, 2002, and included all the financial systems needed for our North American Commercial Door business. This conversion included our facilities in Virginia, North Carolina, and Arizona. This conversion went live without a single problem or issue. Again, Jack and his team did an outstanding job. The third 'go live" was in November 2002, and included all the U.S. sales, marketing, manufacturing, and operation functions in our residential door business. We did experience some learning curve issues in this phase, primarily relating to our employees getting used to working in a new system environment. I was very pleased with the results in the areas that Jack and his team were responsible for. Jack is currently managing our last rollout, which is our Mexico operations, and I am confident that this phase will be as successful as the first 3. The conversion tasks were a huge part of our project. At last count, there were 260 conversions and interfaces required. All of these were under the leadership of Jack. In the 14 months that Jack has supported this critical project, I have seen him work well with all of our employees, demonstrate tremendous work ethic, and be a valued source of knowledge and advice based on his extensive experience in this type of undertaking. I would not hesitate to call on Jack to play a key role in systems conversion efforts, and would recommend him to any company needing a project manager for any large or complex project. If you have any questions or if I can supply more information about Jack, please feel free to contact me at 419-891-7408. Copyright © 2016 JGR Consulting. All rights reserved.